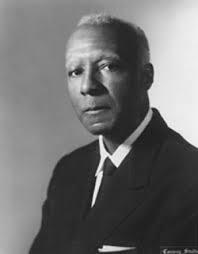 Today in Masonic History Asa Philip Randolph passes away in 1979. Asa Philip Randolph was an American civil rights activist. Randolph was born in Crescent City, Florida on April 15th, 1889. The son of a minister and a seamstress. From his father Randolph learned that color was less important than a person's character and conduct. From his mother he learned the importance of education and, when necessary, standing up and defending yourself and your family, physically if necessary. A vivid memory for Randolph was after the family had moved to Jacksonville, Florida he mother sitting with a shotgun across her lap and his father loading a pistol. His parents were headed to the local jail to prevent a mob from lynching a prisoner. Randolph graduated from Cookman Institute the only high school in Florida for African-Americans. He graduated valedictorian in 1907. In 1911, Randolph moved to New York City. In the south he was banned from all but manual labor jobs. Once in New York he started taking college courses at City College and worked odd jobs. In 1913, Randolph would meet and marry Lucille Campbell Green. The couple would not have any children. Randolph while in New York would try his hand at acting and would start a Shakespearean Society in Harlem. He would abandon acting when he was unable to get his parents approval. It was also during this time that Randolph developed his core philosophy regarding his civil rights activism. Randolph felt that the only way people could be free was if they were not subject to economic deprivation. As a methodology to gain that relief he encouraged collective action. One of his first steps in doing that was to open an unemployment office in Harlem to provide job training for southern migrants. In 1917, Randolph attempted to organize his first union of elevator operators in New York City. In 1919 he would become the President of Nation Brotherhood of Workers of America. The union would dissolve in 1921 under pressure from the American Federation of Labor. In 1925, Randolph had his greatest success when he was elected the president of the Brotherhood of Sleeping Car Porters (BSCP). Under Randolph the BSCP would enroll more than half of the Sleeping Car Porters under the Pullman Company. In 1928 after failing to negotiate a contract, Randolph planned a strike which was postponed when the members learned that the Pullman Company had 5,000 replacement workers lined up. The BSCP faltered and membership dropped to just over 600. When Franklin D. Roosevelt was elected President of the Untied States he would pass the Railway Labor Act of 1934. This gave new power to the union and membership jumped to more than 7,000. By 1937, the BSCP would gain more than $2,000,000 in raises for it's members, a shorter workweek and overtime pay. In 1941, Randolph emerged as a leader in the Civil Rights movement. He along with two others planned a march on Washington D.C. He threatened to have 50,000 African-Americans march into the capital. Plans for the march were stopped when Roosevelt signed the Fair Employment Act. Although some of Randolph's colleagues did not like the Act because it did not go far enough, it is viewed as one of the earliest victories in the Civil Rights movement. In 1947, after a string of victories toward progress with civil rights in the United States, Randolph formed the Committee Against Jim Crow to pressure Harry Truman into desegregating the military. In the 1948 election Truman was vulnerable and needed the support of African-American voters. In July of 1948, Truman abolished segregation in the Armed Forces. In 1950, Randolph helped to form the Leadership Conference on Civil Rights (LCCR). The LCCR has been a major civil rights coalition. In coordinated a national legislative campaign for all civil rights legislation since 1957. In 1957, Randolph formed an important alliance with Martin Luther King Jr. Randolph with King organized events from 1957 to 1959 in protest of those who resisted Brown V. Board of Education including the Prayer Pilgrimage for Freedom in Washington D.C. It was also during this time, that Randolph arranged to have his colleague Bayard Rustin, teach King how to organize peaceful demonstrations in Alabama and to form alliances with progressive whites. In 1963, Randolph finally got his march on Washington D.C. somewhere between 200,000 and 300,000 descended on the nations capital for the March on Washington for Jobs and Freedom. It would be one of the most memorable moments of the civil rights movement placing it squarely in the national consciousness. Randolph passed away on May 16th, 1979. Randolph was a member of Joppa Lodge No. 55 in New York City, New York.